Mizoram Premier League club Chanmari FC announced today that Shylo Malsawmtluanga has been appointed as the head coach for the upcoming season. 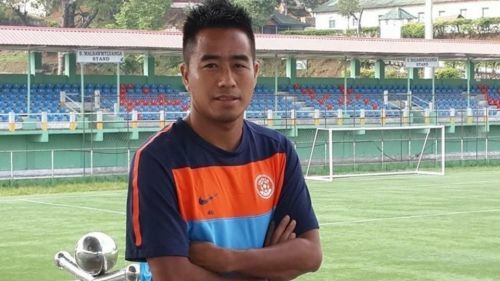 A product of the famed Tata Football Academy, Shylo Malsawmtluanga, fondly known as Mama is one of the most celebrated sporting heroes in Mizoram. He is the first professional footballer from Mizoram to sign for top-flight clubs in the country when he joined East Bengal in the year 2002. Known for his hard work and dedication, the iconic footballer finally hung his boots in 2018 after playing professional football for more than 16 years. From the famous 'Red & gold' jerseys to donning the 'Green and maroon', he has seen and done it all. Mama is considered as Mizoram football's numero uno and is credited for inspiring generations of Mizo footballers. His former clubs include Salgaocar, United SC, Delhi Dynamos, Southern Samity and Aizawl FC. He currently runs the 'M28 Football Academy' and owns 'M28 Sports Goods' shop in Aizawl. Two - time Mizoram Premier League champion Chanmari FC will look for a retreat in the upcoming season after disappointing in the last two seasons.
" We are delighted to have the Mizo footballing hero as our head coach for the 2019 - 2020 season. This will be another page in our club's history and we hope to add to our trophy cabinet under his guidance," says the club Chairman, Mr. Zothantluanga.
" I am indeed grateful to work with Chanmari FC in my first assignment as a football coach which will be a huge challenge for me. I request the full cooperation of the fans and i hope to succeed with their prayers," said Shylo Malsawmtluanga. With ample time left for the new season, Chanmari FC will have all their heads held high after appointing Shylo Mama as their head coach. Does East Bengal's 'Biggest' Tifo during Kolkata Derby Make Top 5 Tifos in Indian football?